I have a major problems with SVN support in phpstorm. I've checkouted my project from SVN and all was fine. Unfortunately all but the most basic things are not working. (Merging, switch project and so on). 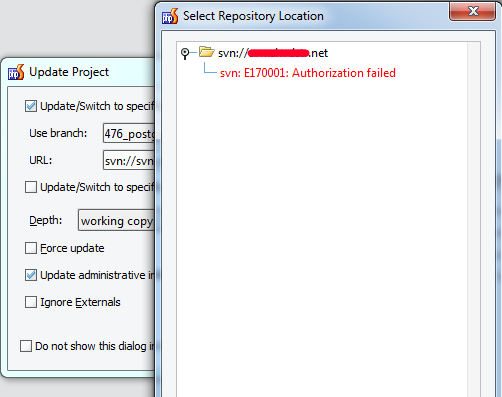 The reason that I don't have access to the SVN root and Select Repository dialog tries to access it. Why select dialog tries to read repository root instead of URL I've provided during check out ? It's so silly sitiation - I can commit and update... Other functions are available only through command line client. Any suggestions how can I work around?